Rumen fluid variation from cannulated cows or steers provides one source of possible fiber digestibility variation among laboratories. Feed thrives on consistency — from the feed and forage testing lab, to the silo, to the mixer, to the feedbunk, and into the barn or parlor. Unfortunately, that also means inconsistencies throughout this chain deprive cows and their performance opportunities. When environment varies, a crop will express that variation within the silo. Different sections of a field or fields may have better or worse fertility, which can manifest in better or worse yield and plant quality. Within the feed mixer, worn kicker plates or dull knives, inadequate mixing time or speed, or improper mixing sequence and loading will result in a variable total mixed ration (TMR) along the feedbunk. These inconsistency errors are relatively well understood. However, comparing across forage testing laboratories makes inconsistency identification less obvious. Differences or inconsistencies between forage testing laboratories can be one of the most confusing and frustrating predicaments a nutritionist or farm owner faces. But laboratories should be the same, right? Not necessarily. While pet and animal feeds are tightly regulated, such regulation for feed and forage testing labs does not yet exist. Certification (not regulation) for feed and forage analysis laboratories is performed by the National Forage Testing Association (NFTA). The NFTA certifies laboratories for analyzing crude protein (CP), acid detergent fiber (ADF), and neutral detergent fiber (NDF) proficiently. Yet, there are not certification programs for other routine lab measures such as starch and sugar content, rumen and intestinal digestion estimates, and mold and mycotoxin analyses. With over 100 mineral, anti-nutrition, and digestibility measures now available from feed and forage testing laboratories, and hundreds, if not thousands, of commercial feed and forage testing laboratories now in existence, there is room for inconsistency. In lieu of certification, some forage testing labs reference published research to guide methods and techniques. Using research proven techniques helps yield consistency and quality, but there are some measures that will differ between labs due to the nature of the technique. So, what leads to this inconsistency, and how can we manage around it? Rumen fiber or starch digestion measures often vary between forage testing laboratories as digestion methods need live dairy or beef cattle. Laboratory rumen digestion measures either digest feeds directly in the rumen (rumen incubation; in situ method) or utilize live rumen bacteria inoculum in a lab bench procedure (simulated rumens; in vitro method). Testing labs work with cannulated steers, dry cows, or lactating cows as rumen fluid donors or rumen incubation hosts. Animals are very different from one another just as their environment and diets differ. 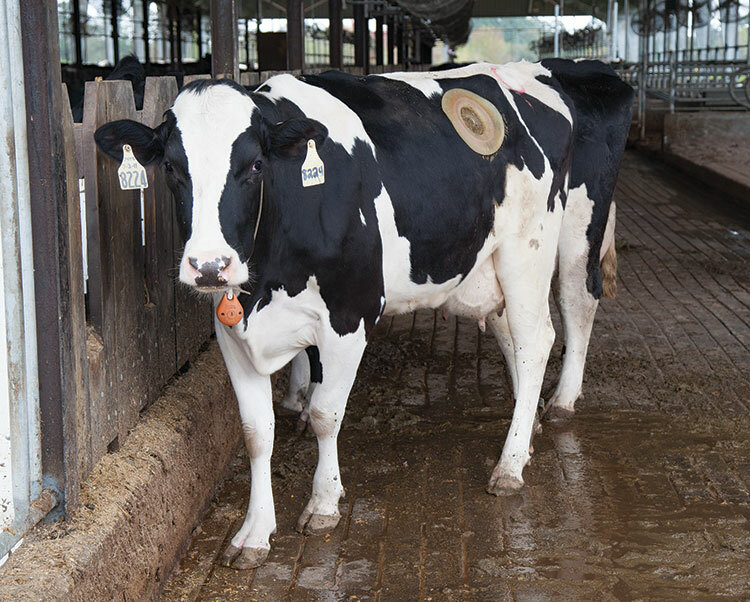 These factors contribute to slight, unavoidable variations in the rumen environment and bacteria, leaving lab measurements to reflect that variability. With fiber digestibility measures, which are important for Milk2006 and relative forage quality (RFQ) measures, the laboratory average must be considered when reviewing differences between labs. Think of this like grading on a curve. Laboratory A and Laboratory B might have slightly different digestion averages, so your forage analysis results can be corrected by adjusting the results based upon the lab average. This works well for common forages such as corn, grass, legume silages, or hays. For high-value samples, wet chemistry analyses, or uncommon feed sample analysis (such as soy hulls or almond hulls), send paired samples with a known feed type along with the unknown samples to the laboratory. The known feed should be one that the farm has fed and understands the digestion potential to compare against the unknown feed. In order to avoid unnecessary headaches, a good rule of thumb is to stick with a single, NTFA-certified testing laboratory for all of your analysis needs. Sometimes challenges may still arise as not everyone works with the same laboratory. For example, when hay brokers and buyers do not use the same laboratory, differences become apparent. In this case, the forage testing lab variances cannot be separated from sampling differences. Was the different hay test due to a different sample, or can it be attributed to laboratory differences? To make apples to apples comparisons with forage samples, ask the two laboratories in question to exchange their respective dried and ground samples and repeat the analyses. Then work with the laboratory technical support team, your nutritionist, and any other parties involved to resolve the value differences. If sampling is the root of the variance, the exchanged samples will be reported differently by both labs. Analytic feed and forage laboratories are all aiming to be as accurate as possible to reflect feed quality. After all, their success lies in the success of their customer nutritionists and indirectly, the performance of the animals on the feedstuffs analyzed. Understanding the limits to forage laboratory comparisons can offer reasoning in not only attribution of observed value differences but also in the need for consistency across laboratory analysis. Cows are creatures of habit and enjoy consistency. And it’s apparent that they may be onto something — consistency remains key to performance across all steps of a feedstuff’s journey from field to bunk. This article appeared in the March 2017 issue of Hay & Forage Grower on page 12.